On July 14th, 2015 World Powers reached an accord with the Iranian regime to thwart Iran from becoming a Nuclear Power. The Joint Comprehensive Plan of Action (JCPOA) reduces the number of Iranian centrifuges by two-thirds. The deal enacts bans on enrichment at critical facilities and limits uranium research and development to the Natanz facility. On July 20th, 2015 the United Nations endorsed the agreement. However, the deal is incredibly flawed and for such reasons the President of the United States may withdraw from the agreement. Then In October of 2017, Regardless of the deal, according to German Security officials, the Iranian regime is continuing its pursuit to accomplish the goal of building missiles armed with nuclear warheads, the Berlin daily Der Tagesspiegel reported. “Despite the nuclear agreement [reached with world powers in July 2015], Iran has not given up its illegal activities in Germany. The mullah regime also made efforts this year to obtain material from [German] firms for its nuclear program and the construction of missiles, said security sources,” Der Tagesspiegel wrote on Friday, October 13, 2017. On that Friday, President Trump announced his plans to withdraw from the deal because the Iranian regime had violated the terms of the agreement, outlined in the Iranian Nuclear Deal. 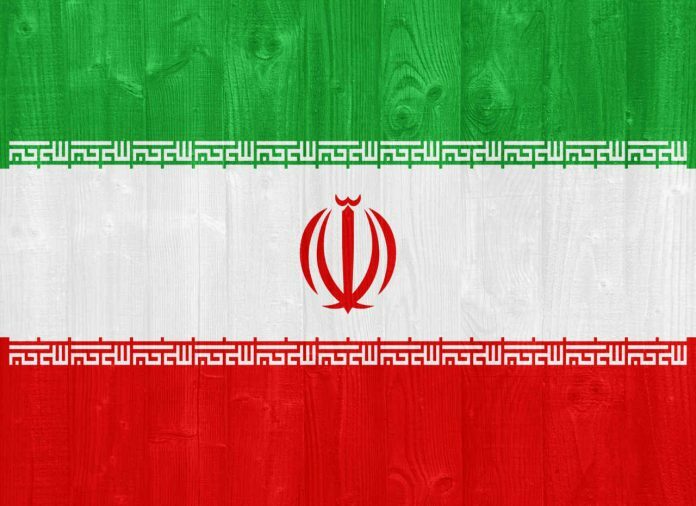 Now, on May 8th, 2018, President Trump is preparing to announce whether or not the United States will withdraw from the Iranian Nuclear Deal. According to Israeli Prime Minister Benjamin Netanyahu; Iran lied about developing nuclear weapons. On April 30th, 2018, the Israeli Prime Minister revealed a cache of files that allegedly detail how Iran is continually running a secret program to build nuclear weapons. The files apparently originated from a “highly secret location” in Iran, and they contained details about Project Amad, which according to Bibi, Prime Minister Benjamin Netanyahu, is “a comprehensive program to design, build, and test nuclear weapons” which was in operation between 1999 and 2003. In response to the decision, regarding the Iranian nuclear deal, the regime has already issued warnings against the United States; stating that the US will regret withdrawing. “If the United States opts to pull out of the JCPOA, you will soon see the historic remorse which the move will bring about for” Washington, Rouhani told a crowd in Sabzevar in northeast Iran on Sunday. The Iranian president said he had directed related bodies to devise necessary measures to respond to the US President’s unannounced decision; “Orders have been issued to the Atomic Energy Organization of Iran, and a few days ago, I spoke with senior officials of the organization about the programs ahead,” he said without elaboration. “Our path is quite clear. The economic sector has also received the necessary orders,” Rouhani continued. On the campaign trail, in 2016, then-Candidate Donald Trump promised to the American people that he would undo the Iranian Nuclear Deal, which he says is ‘catastrophic’ for America, Israel, and people of the Middle East. The Nuclear Deal, according to President Trump, Israel, and critics of the deal is incredibly flawed, it does not detail in any way Iran’s support of terrorist group Hezbollah, and it does not specify in any notion if Iran can or cannot test ballistic missiles. If President Trump withdraws from the deal, the economic sanctions that were suspended under the agreement would be re-imposed against Iran. The sanctions against Iran would, in essence, allow Russia and Saudi Arabia to benefit from more oil sales, as Iran is a significant producer of oil. However, similar rhetoric was issued by the Kremlin regarding North Korea, and after President Trump’s hardline stance on North Korea; Both South and North Korea have agreed to cease the long-running war between the two countries. Follow along below for live updates regarding the announcement by President Trump surrounding the Iranian Nuclear Deal. Graham Allison. “On Iran: Don’t Let Bibi Sell Us Another War.” National Interest. . (2018): . .
PressTv. “Rouhani says Iran ready, warns US of 'historic remorse'.” PressTV. . (2018): . .
Larry Kaplow. “Trump To Announce Whether U.S. Will Break The Iran Nuclear Deal.” NPR. . (2018): . .
PressTv. “Russia warns of harmful consequences if US quits Iran nuclear deal.” PressTv. . (2018): . .
Tom Dichristopher. “Netanyahu says files show Iran lied 'big time' about developing nuclear weapons.” CNBC. . (2018): . .
BENJAMIN WEINTHAL. “GERMAN OFFICIALS: IRAN WORKING TO BUILD NUCLEAR-ARMED MISSILES.” Jerusalem Post. . (2017): . .
CNN Library. “Iran's Nuclear Capabilities Fast Facts.” CNN. . (N/A): . .
Stephen Collinson, Kevin Liptak and Dan Merica. “Trump says Iran violating nuclear agreement, threatens to pull out of deal.” CNN. . (2017): . .